PROMINZYME - Probiotics, Enzymes and over 70 trace minerals. 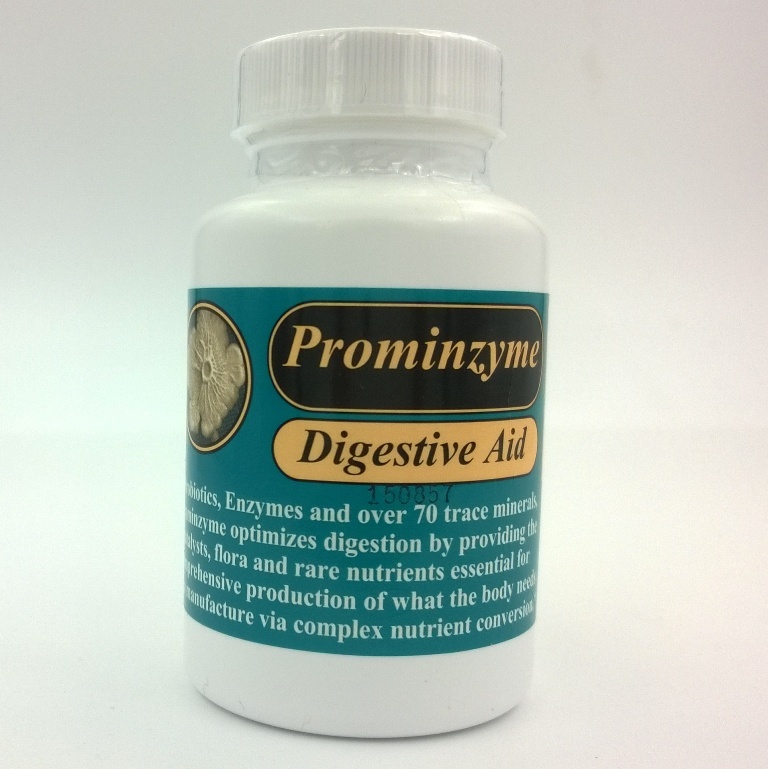 Prominzyme optimizes digestion by providing the catalysts, flora and rare nutrients essential for comprehensive production of what the body needs to manufacture via complex nutrient conversion. A digestive enzyme formula with maximum catalytic activity including Protease, Amylase, Cellulase, Lactase, Alpha Galactoside, Lipase, Invertase and acid stable Protease as well as a proprietary probiotic formula with each capsule containing 3 Billion CFU's of L Acidophilus, B Bifidum, S Thermophilus, L Salivarius, L Plantarum and L Rhamnosus, a Chicory inulin prebiotic and 72 Macro and Micro trace minerals.